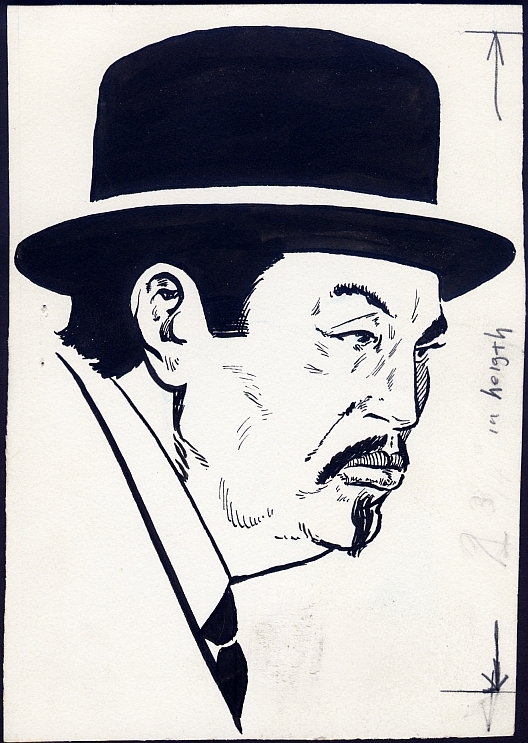 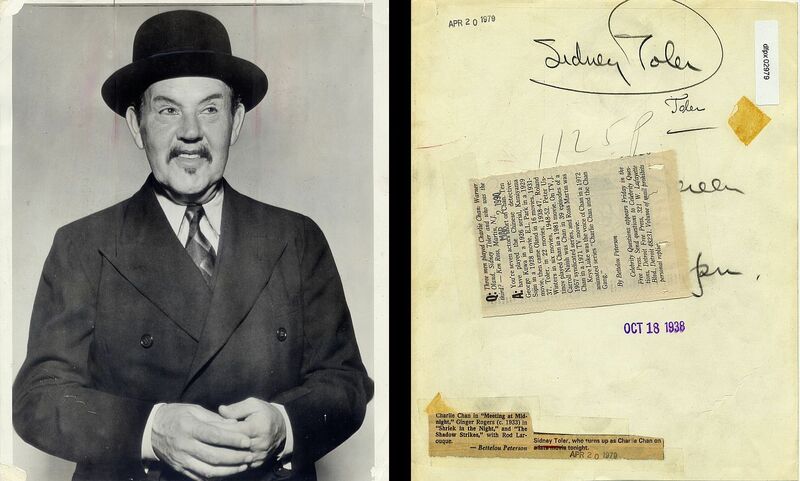 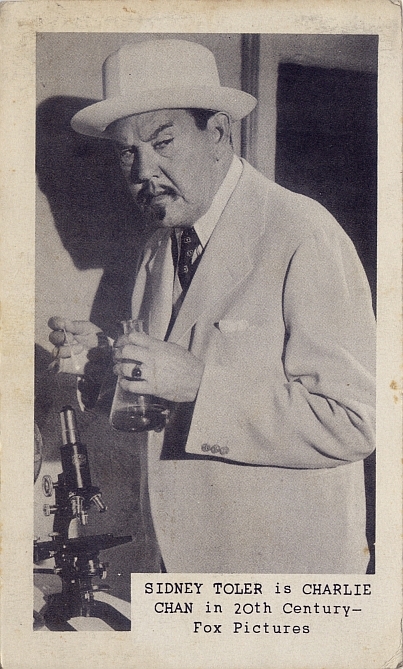 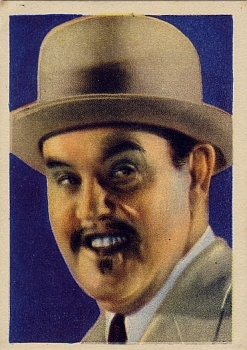 This was very possibly the first photograph of Sidney Toler as Charlie Chan. 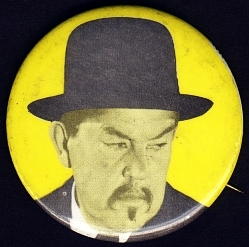 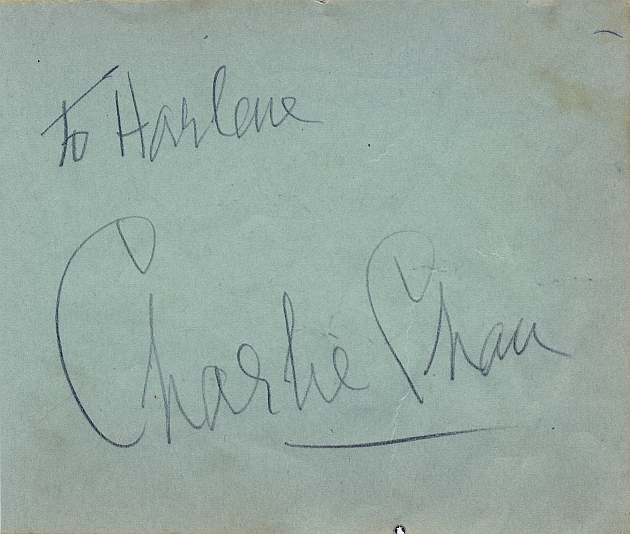 The venerable image has, as can be seen on the reverse, been used over the years to publiciize Charlie Chan films. 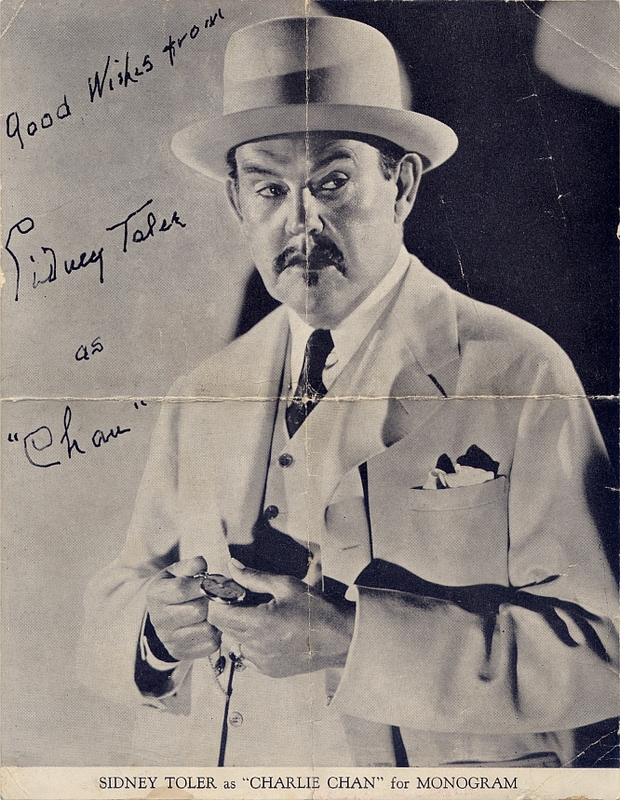 The earliest rubber stamped date, October 18, 1938, coincides with the date of the official announcement by 20th Century-Fox of their choice of Sidney Toler to replace the late Warner Oland as Chan. 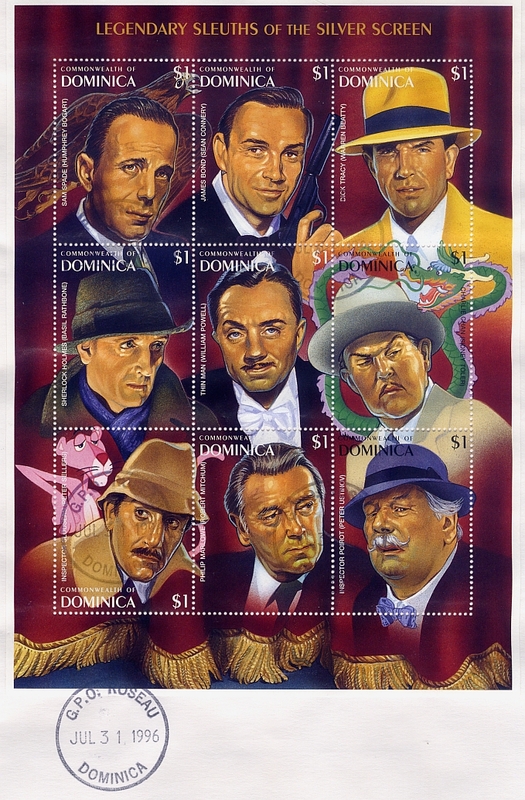 This was probably the pubicity photo sent out by that film studio to accompany their announcement to the press. 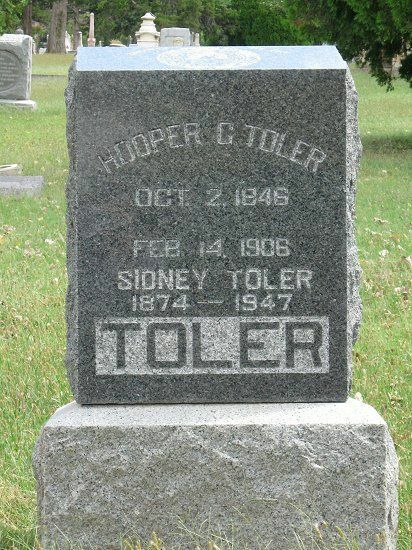 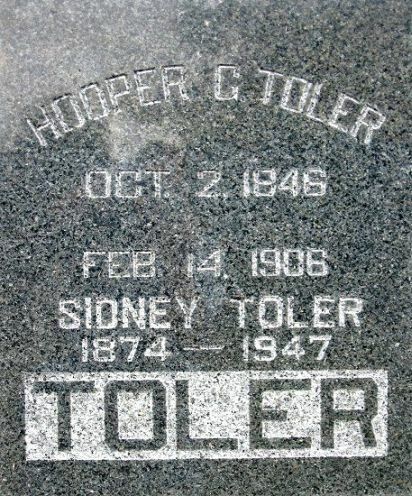 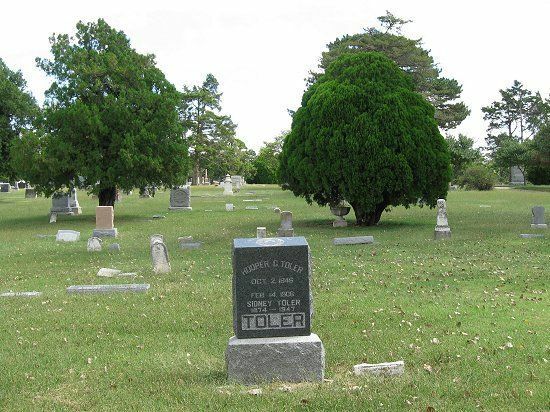 actual signature by Toler (and others) on the rear.